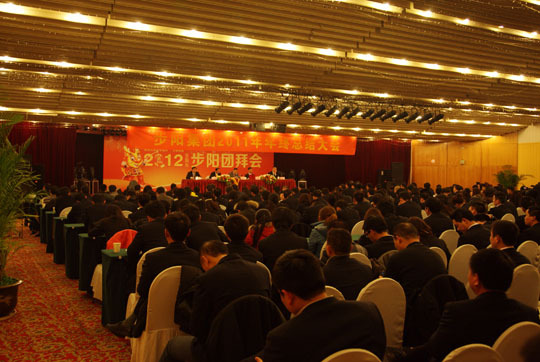 January 12, 2012, step Yang Group of the segment 408 middle management cadre gathered in a large conference room company, Group Chairman Buyun Xu do group work report 2011: the next step - the whole group of people fighting in 2011 Buyang Group the face of domestic and international economic situation is extremely complicated, calmly, give full play to the step-people spirit, seize the opportunity to achieve a historic breakthrough, completed over 2011 production tasks and sales tasks, and achieved gratifying great achievements, the annual output exceeded 200 mark door, wheel annual output exceeded 100 million mark, once again positive step to create history. Xu stressed at the meeting that we have successfully across the 2011, 2012 opened a new page of history turn. 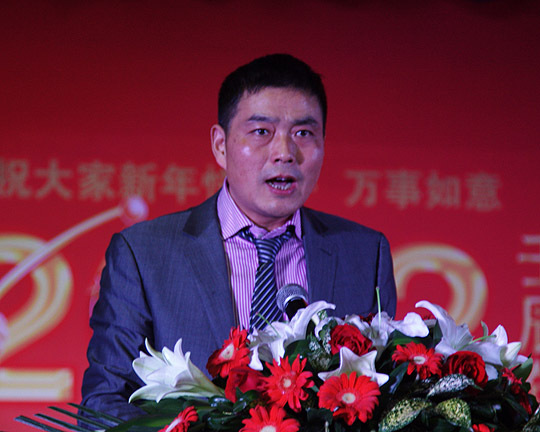 In the new year, as long as we step Yang people down to earth, pragmatic, step-people give full play to team spirit and fighting spirit, I believe, in 2012 the goal will be achieved, step - can once again make more brilliant future. Gathering will use the remote system be broadcast live on the big screen Group headquarters large conference room, to all branches and dealers nationally televised New Year gathering of the group in 2011 will live. During the gathering will be theatrical performances, brilliant program, the department group directed the comedy, comic caused by bursts of laughter, so we have a good relax after intense work. 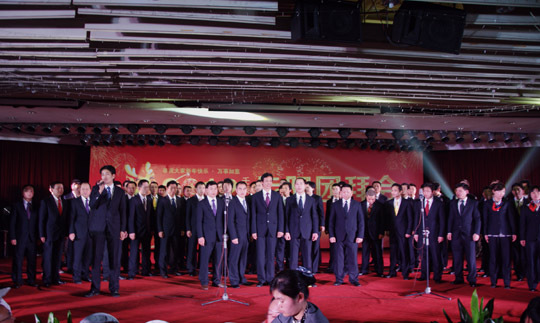 Door Industry QC directed the dance show "Kung Hei Fat Choi" and become a highlight of the gathering will. Overseas agencies who have adopted a live video screen, expressing wishes to the company's situation.